Back in December, I showcased some of my sewing projects at my work's annual Talent Show. Surprisingly enough, my colleagues were very impressed with my work. Pretty good for someone who has only been sewing for a year huh? Cute huh? 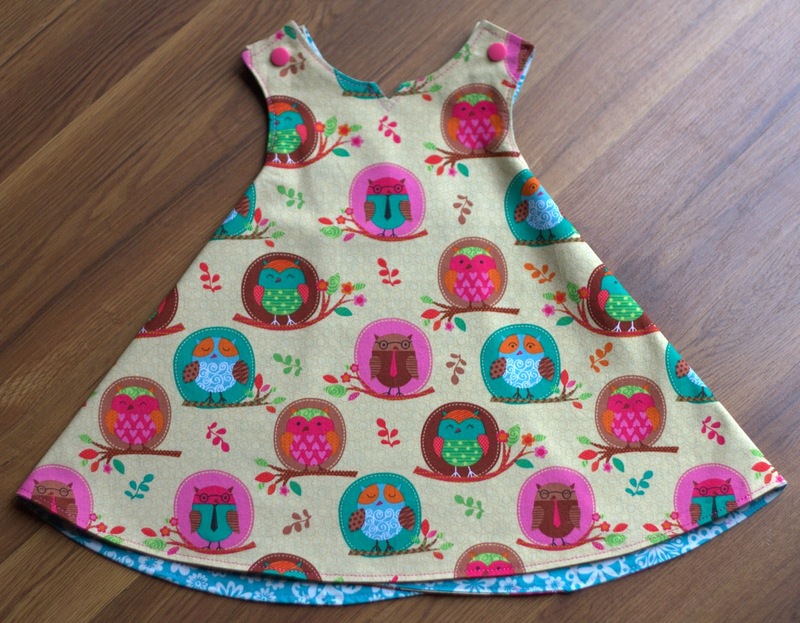 I just love the owl fabric. As you can see this is a 1 piece dress, which is actually more of a pinafore since it doesn't close in the back. I used kam snaps for the closures. These snaps are pretty much my favorite thing to use whenever I can. So easy to put on and incredibly durable. Just don't iron them... they melt... I learned that the hard way. But wait, that's not all folks... 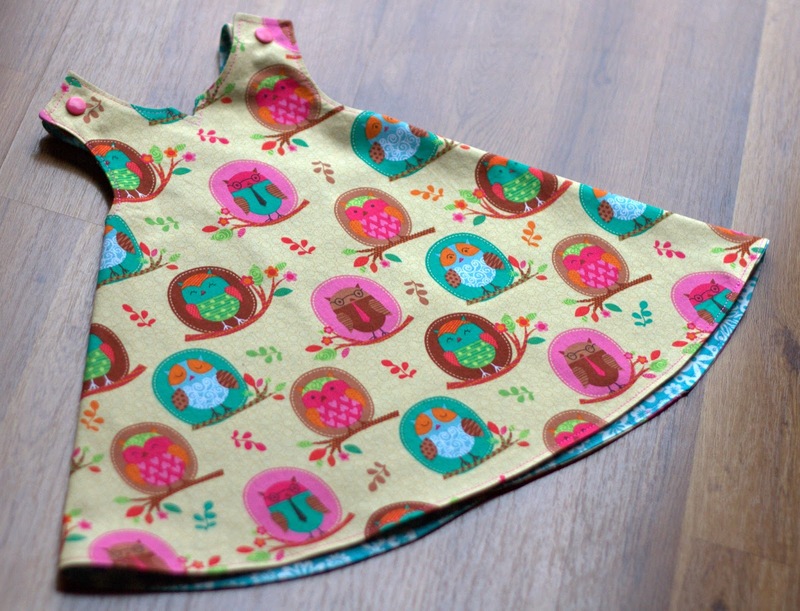 This dress is fully reversible!! Nothing better than a garment that can be worn in multiple ways, right? The pattern I used for this dress is the Aurthi. Want a link to the pattern? Leave me a comment. I actually pattern tested this pattern before the designer released it and it is one of my all-time favorite patterns! 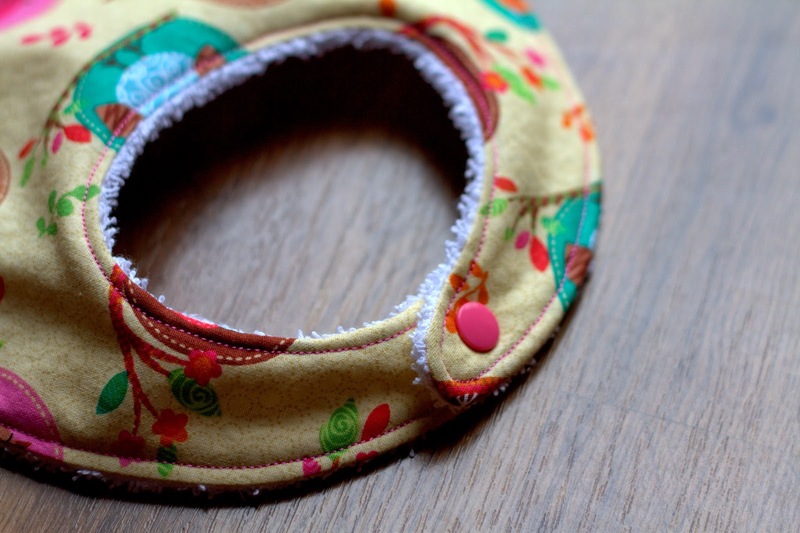 It is really simple since it is only 2 pieces to sew together. 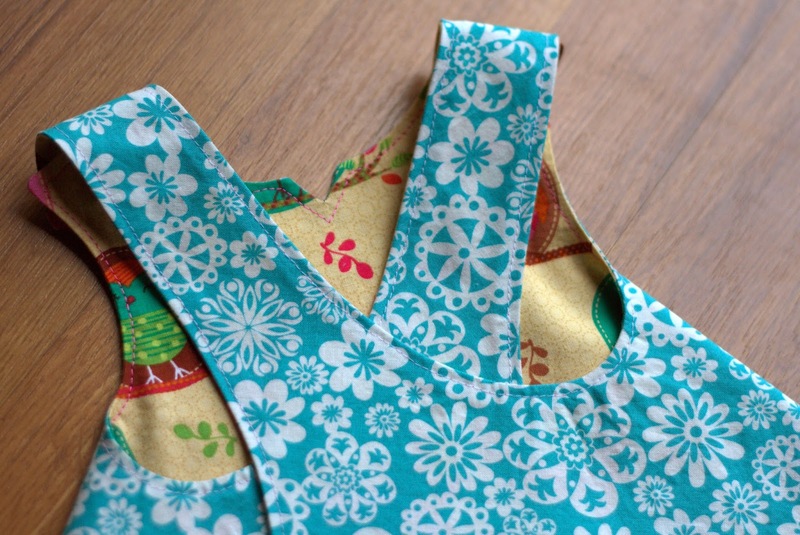 I'd definitely recommend this to a beginner seamstress because of it's simplicity, but also because the tutorial that comes along with the pattern is incredibly detailed and walks you through every step of the way. There are also several design options included so the pattern has some nice versatility to it. 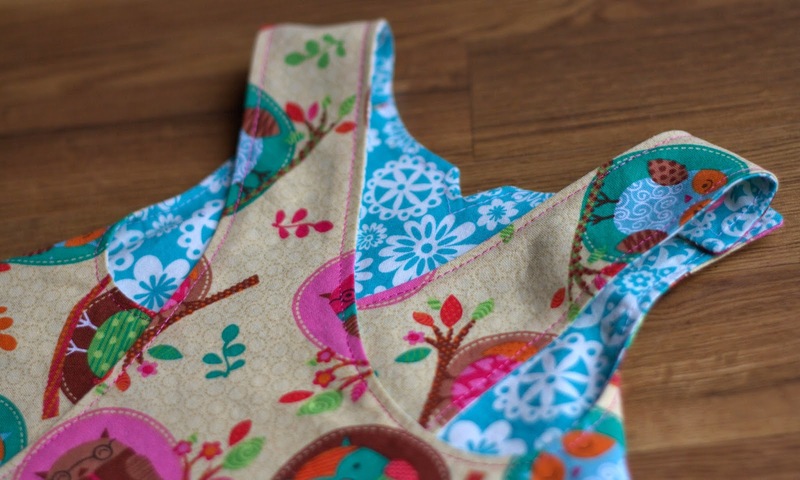 I'm really loving how these bibs are turning out. I just gave the finished item to my colleague today and she loved them. Hopefully the new mama will love them as well! 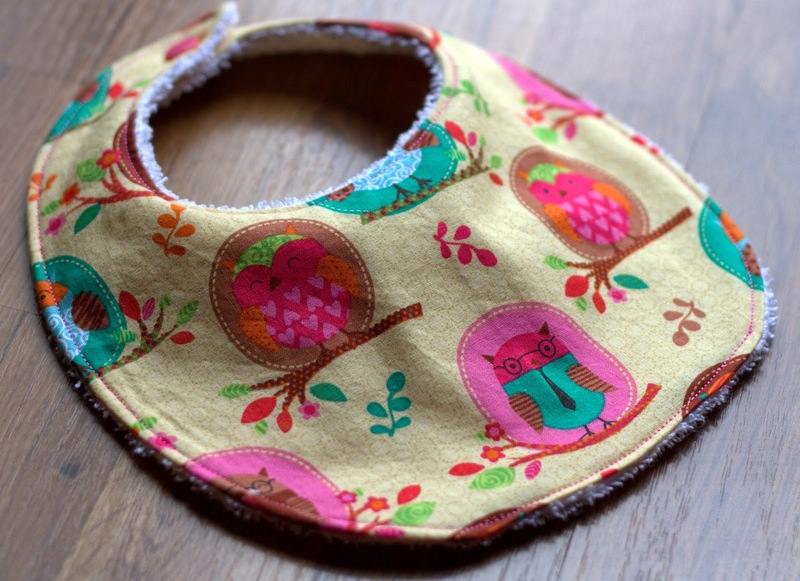 I love your owl fabric. So cute. 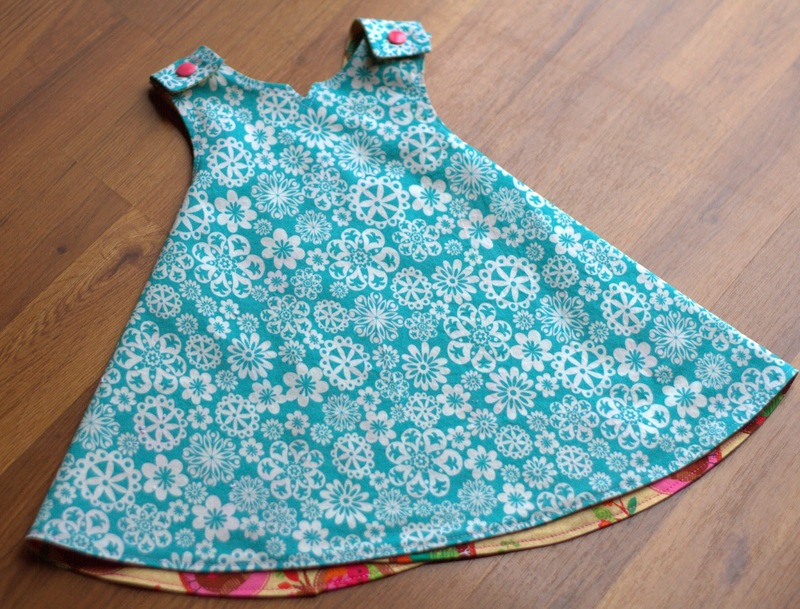 I totally just finished a dress like this for my girl. The pattern I had was for 18 months. I had to make it bigger to fit her since she is almost 4 years old. I saw your project on pinterest and was like, "Oh my gosh, I just did this same thing!" Thanks Jackie! Isn't it such a great pattern? I use it a lot! I am so excited to gift this to my friend! I know she'll love it--particularly the color choices since she said she was overwhelmed by pink having a new girl. Thank you so much! Katie! I'm so sorry I missed your comment until now! I hope she likes it! Great fabric choices! I have a soft spot for bright colors. Thanks Erin! I love bright colors too! This is adorable!! 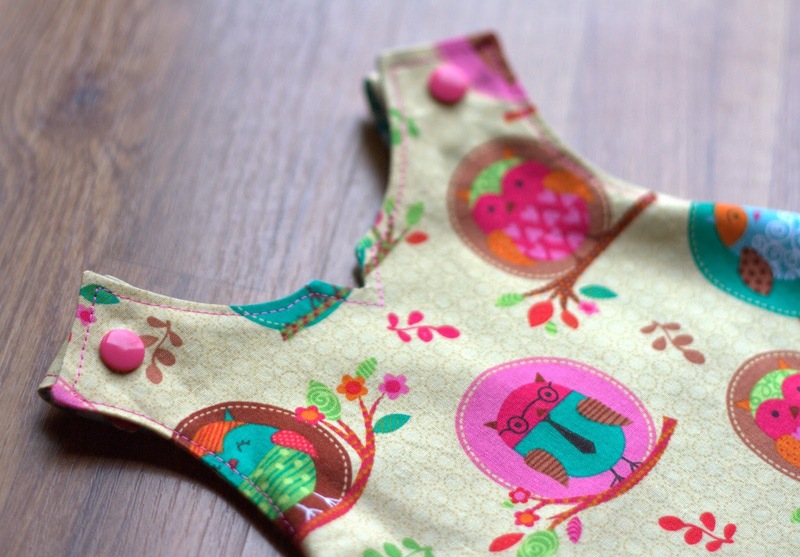 Going to attempt it for my very first sewing project for my daughter! Where did you buy the fabric? It is easy to put on. 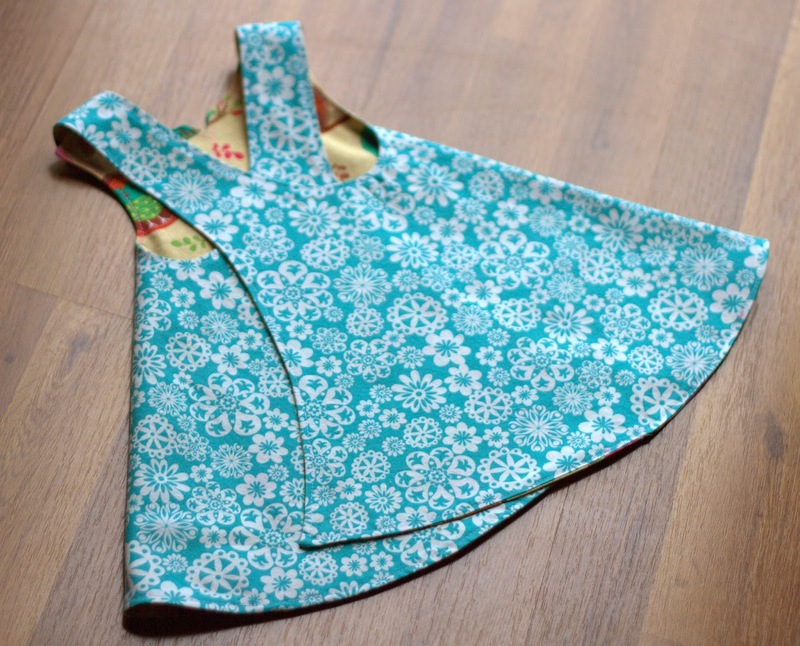 I was looking for an idea to make my baby's dress for her big coming event. Thanks for the sharing! Hi there, Just wondered how the dress stays on - I couldn't see how the back wrapping stays together? Very cute. So where can I buy this pattern? I live in Australia. HI. is the pattern still available? This is just the cutest and it looks so easy! Is the pattern still available? This is just the type of little dress I was looking for. Is the pattern still available? Is this pattern still available? this is amazing! congrats. How can I get the pattern? please! 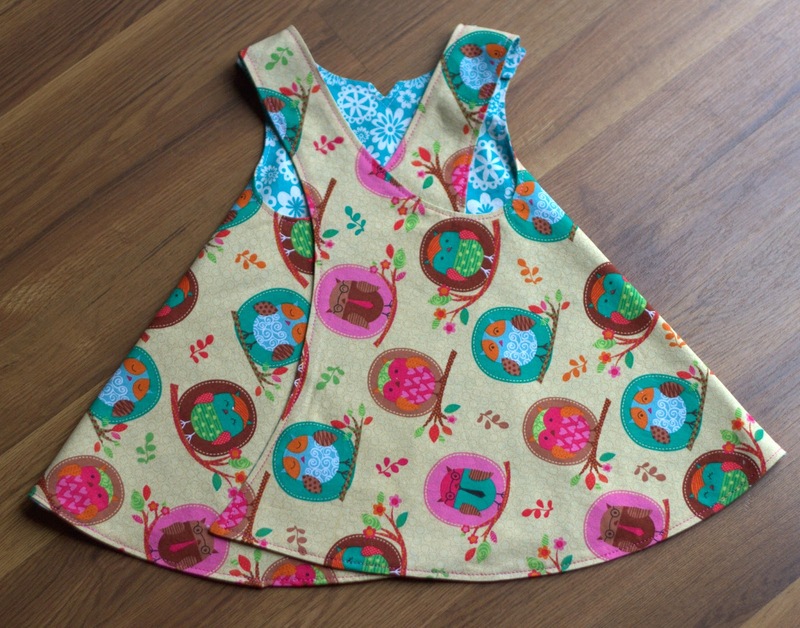 If you are still offering this pattern, I'd love to make the dress for my granddaughter. So adorable! Can't wait to make this. Thanks! Is the pattern still available? hi i´d like a pattern please .. i loved it! Hi, is this pattern still available. I have a 9 month old niece and would love to make it for her. I would love the link to this pattern! Hi, would love to have the link to this pattern. My girls will love the dress. Hi can you please send me the pattern too ? MY email is andreaocchineri@gmail.com Thank-you so much ! Is the pattern still available? I would love to use it! I would like to have the pattern as well, lots of grand baby girls who will look so cute in this. This is awesome! Is the pattern still available??? Sure would appreciate your sending it! Thanks so very much ! What a perfect gift!! I would love the pattern if it's still available! I'd like the pattern please! Could I please have the pattern if still available, I would like to make it for my great granddaughter.Thank you. Could I please have the pattern if it’s still available. Ceccato2 (at) gmail.com. Please could you send me the pattern? Pretty please! 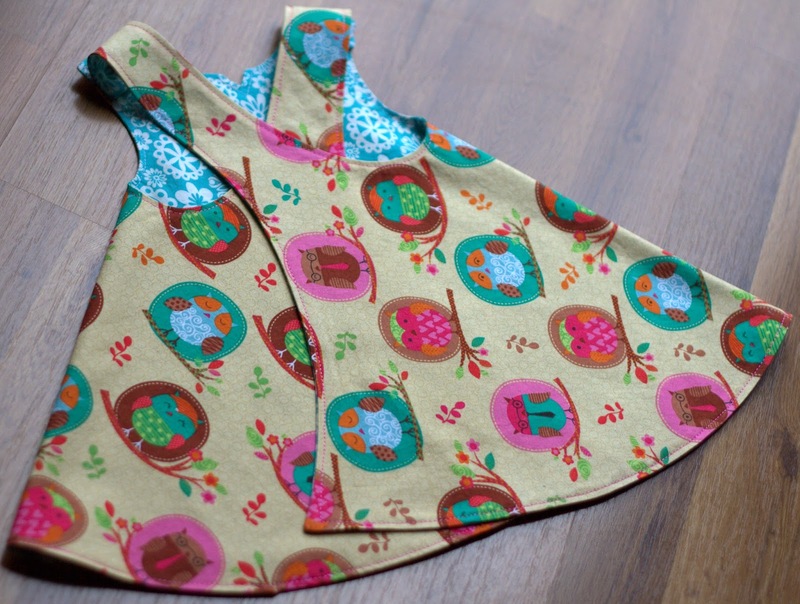 Love the little dress - i'd love the pattern! Hi! Is the pattern available? 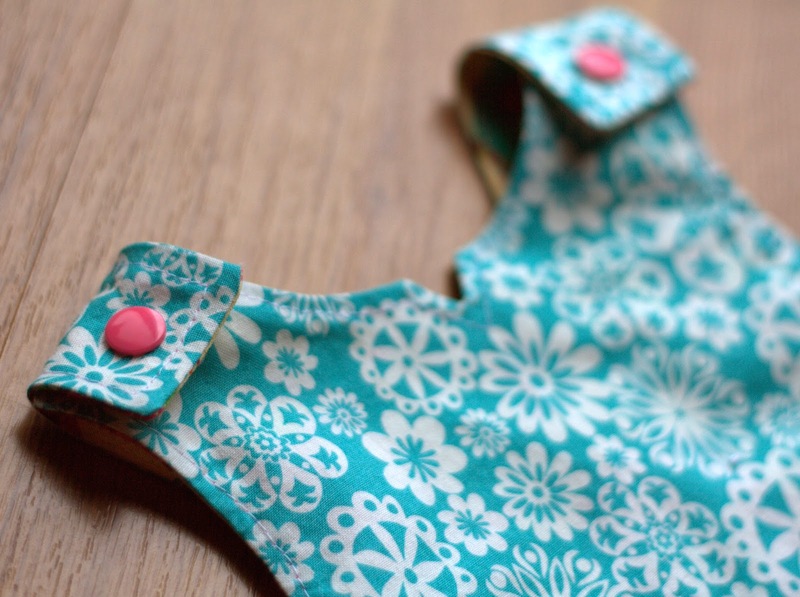 I'm learning to make clothes for my 2 months old baby girl, and I'd love to try this design! Thanks from Argentina! Just had my first granddaughter and would love to make her some dresses like I use to do with my girls!!! Thanks! Hola. buenas tardes. estoy comenzando a hacer ropa para niños para vender ya que me quede sin trabajo y este modelo me pareció genial super cómodo, podre tener el enlace para el patron? desde ya muchas gracias por su tiempo. Elena. I would love the link to this pattern!! Thank you!!! I would love the link to this pattern! Thank you!! I would love the pattern for the little dress! Does it come in multiple sizes? Love the pattern. Would I be able to have the pattern of the dress? Bonjour, j'adore ! Puis-je avoir un lien pour le modèle ?Merci par avance. Love the pattern. May I have a copy? thank you! Bonjour, je cherche justement à faire une robe tablier réversible. 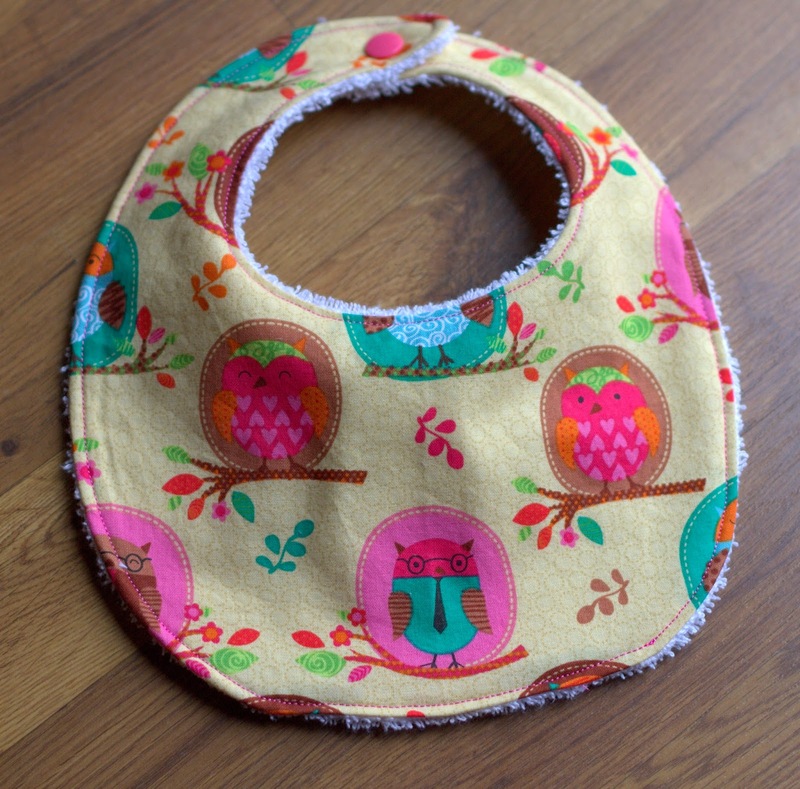 Je viens de faire un tablier réversible et je voudrai le faire en robe et je ne sais pas comment faire pour rallonger le patron, votre robe et magnifique et j'adore le tissu chouette. Pouvez vous m'envoyer le votre gratuitement , je vous remercie d'avance. Amicalement Murielle. Esta bellísimo, la combinación de la tela, la hechura, se ve muy fino. Would love the pattern. This is delightful. Simple and useful. You can find this pattern here. Thank you for posting but this link takes me right back to this page, which says if you'd like the pattern, make a comment. I would love the link to the pattern if still available! thanks in advance!